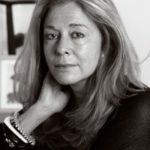 The opening of this year’s festival is marked by a special event featuring critically-acclaimed poet Jorie Graham. Graham is the author of numerous collections of poetry, including The Dream of the Unified Field: Selected Poems 1974-1994 (1995), winner of the 1996 Pulitzer Prize for Poetry and PLACE (2012), which won the Forward Prize. The event will be hosted by Tara Bergin whose recent collection The Tragic Death of Eleanor Marx (2017) was shortlisted for the Forward Prize, the T S Eliot Prize and the Irish Times Poetry Now Award.